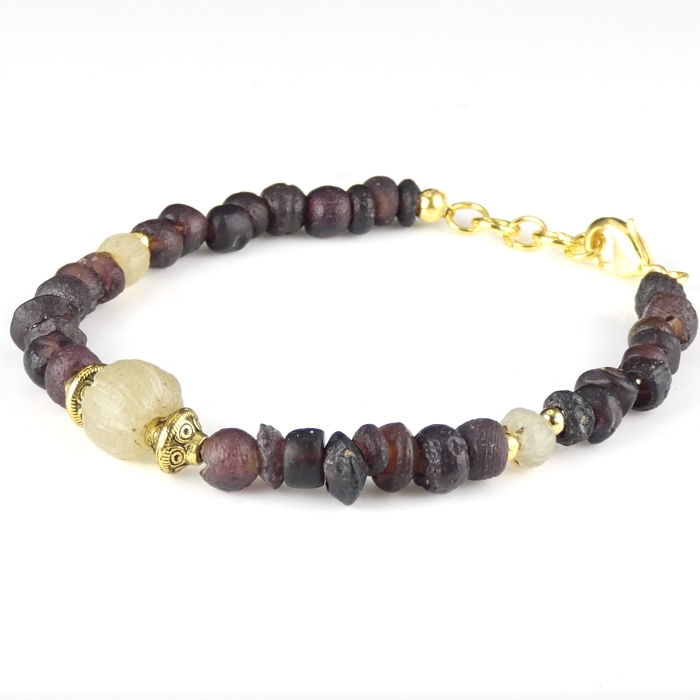 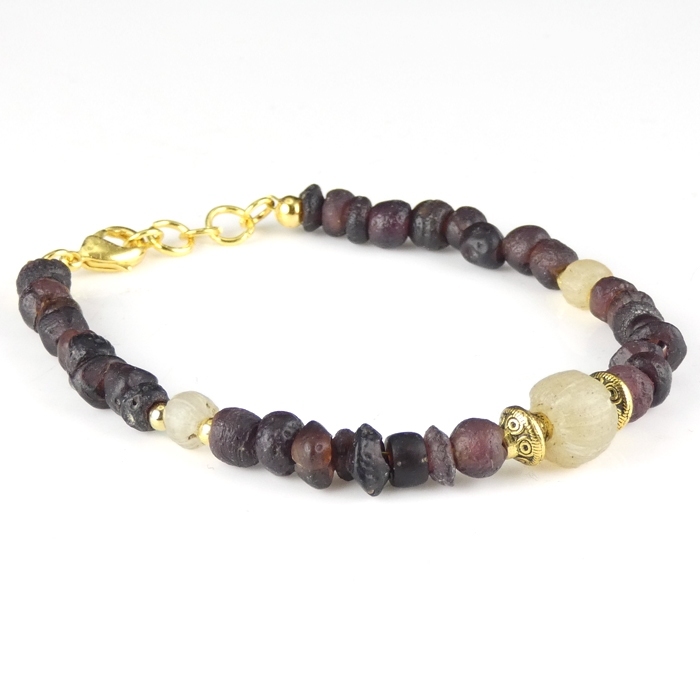 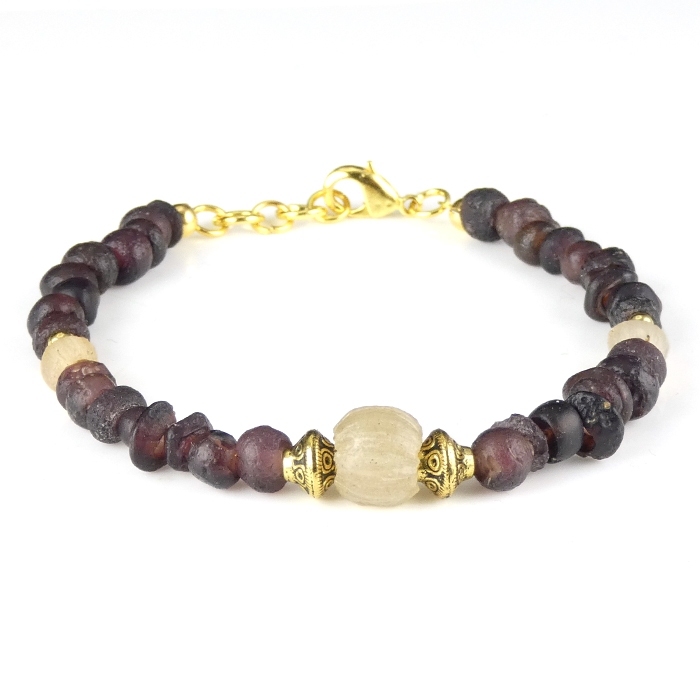 Bracelet with Roman purple and semi-translucent glass beads. The rare purple/aubergine colour was highly prized in Roman society. Restrung using authentic Roman beads with decorative spacer beads and wearable (clasp).